On May 30th will take place in Santa Clara (California) the Augmented World Expo, also known as AWE. 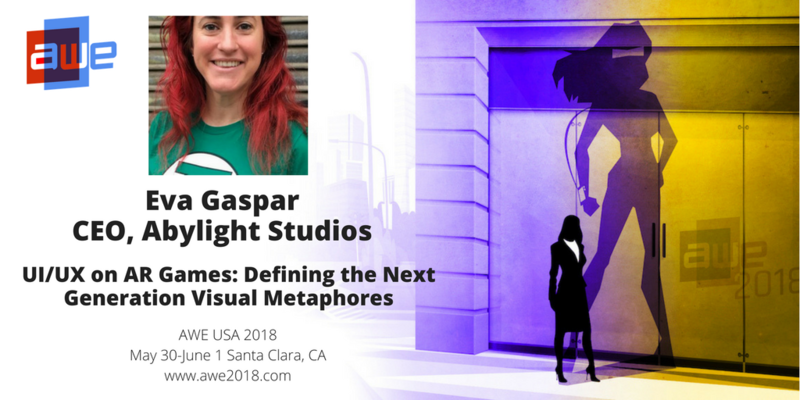 This is the most important virtual and augmented reality event worldwide and Eva Gaspar, CEO of Abylight Studios, will attend as a speaker to talk about RC Club and the experience of the studio developing augmented reality games. She will be part of the 300 speakers who will present their experiences to CEOs, CTOs, designers, developers, creative agencies, analysts, investors and the press in an opportunity to learn, inspire, collaborate and experience first-hand the most exciting industry of our time. RC Club AR Motorsports is an Augmented Reality game that allows you to drive a remote controlled car on iOS devices, using ARKit technology. Tags: ar, augmented reality, augmented world expo, AWE.